Gents, ladies, voters, here comes Super Mar! 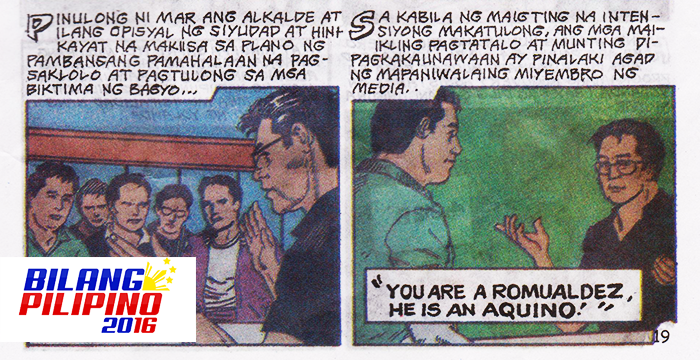 Sa Gitna ng Unos, a comic book depicting presidential candidate and former DILG Secretary Mar Roxas as hero in the Typhoon Yolanda tragedy has surfaced, months after his drama- and hugot-free TV commercial was released. 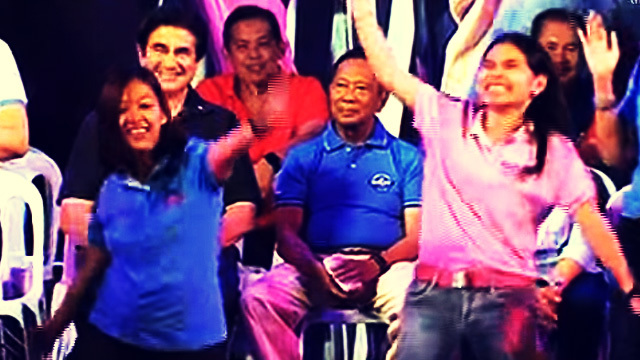 Critics were quick to express their dismay over this supposedly "truth-based" campaign paraphernalia produced by the supporters of the administration's standard bearer, who's had his share of unforgettable PR blunders in the past. Couple that with the popular belief of Roxas' alleged incompetence in handling emergency situations, netizens wasted no time slamming this latest pro-Roxas stunt. 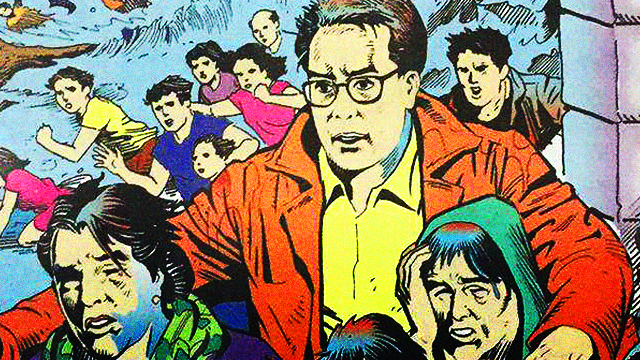 The 28-page comic book aims to introduce voters to the mostly highs and some lows of the presidentiable's political career and personal life, with President Noynoy Aquino's endorsement serving as the perfect endnote. GMA News Online reported that copies of the comic book were handed out for the first time during the Liberal Party-attended birthday party of Philippine Charity Sweepstakes Office (PCSO) Chairman Erineo "Ayong" Maliksi in Cavite last Easter Sunday. InterAksyon.com was able to get hold of some of the controversial publication's inside pages, which included Roxas' not-so proudest moments: his viral exchange with Tacloban City Mayor Alfred Romualdez and that time he suffered a motorcycle fall while on his way to Samar in 2014. Amid considerable flak, the camp of Mr. Palengke defended the seemingly questionable material, which according to a statement was conceived by supporters who want to shed light on their bet's contributions during the disaster. 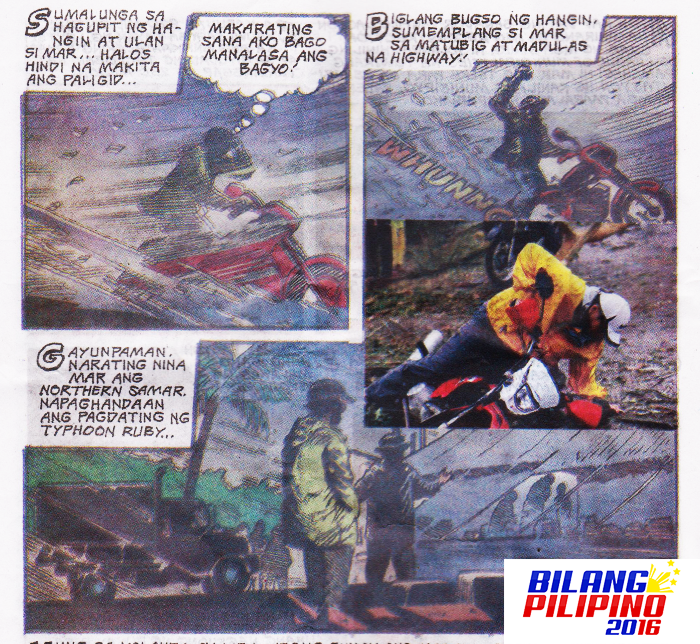 As to notions of exaggerated claims, Akbayan party-list representative Barry Gutierrez—the spokesperson for the Roxas-led Daang Matuwid coalition—added, "Bilang comics, natural na may dramatisasyon ito. Matagal nang nailahad ang katotohanan tungkol sa mga nagawa ni Mar sa Yolanda. Malinaw ang record niya dito, at pinaninindigan namin ito." Dragged into the mess was the comic book's illustrator Karl Comendador, who didn't take kindly to his drawings getting defaced by online trouble(and meme)makers.